In order to meet the huge market demands, we are involved in manufacturing and supplying best quality of Medium Duty Polyurethane Caster Wheels. 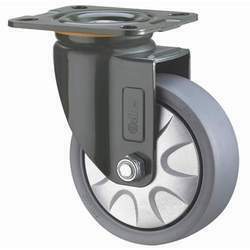 These Medium Duty Polyurethane Caster Wheels are extensively used in medium duty applications. These products are available in the market at reasonable rates. 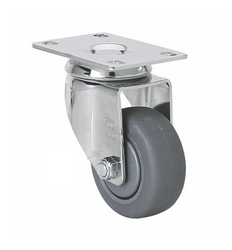 We are engaged in manufacturing, trading and supplying a wide assortment of Medium Duty Caster Wheels that is extensively used in various industries. These are fabricated using the premium quality raw material and sophisticated technology by our talented professionals. The products offered by us are stringently tested on various parameters to deliver flawless range at clients' end. Clients can avail these wheels from us at market leading prices. 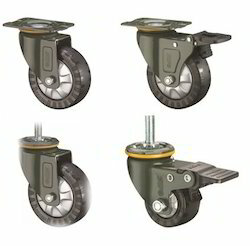 We are a prominent company involved in offering a wide gamut of Medium Duty Ball Bearing Caster Wheel. These are highly reckoned among our clients due to their premium quality and reliable nature. We offer these in different specifications as per the clients requirements. In addition o this, we also assure to deliver a defect free range of our products in a fixed time frame.